Positive Psychology research and applications are being redefined by the second wave of Positive Psychology - Grow. When Martin Seligman took to the podium in 1998 to deliver his iconic presidential address to the American Psychological Association, he lamented psychology becoming “…solely a healing profession…” and called for the “…growth of the new science and profession of positive psychology…” (Fowler, Seligman, & Koocher, 1999). By differentiating Positive Psychology (PP) from “psychology as usual” (Lomas & Ivtzan, 2015, p.7), Seligman created a dialectic in which POSITIVE PSYCHOLOGY has recently been identified by Lomas (2016) as being the valued yet flawed antithesis. It could be argued that this evolution of psychology began much earlier. In the second part of Victor Frankl’s seminal work ‘Man’s Search for Meaning’ originally published in 1946, Frankl identifies a change in the demand for psychiatric treatment, where increasingly psychiatrists were being consulted for “human problems rather than neurotic symptoms” (Frankl, 2004, p.119). He suggested that this could be due to the decreased reliance and observance of religious and spiritual traditions by people who still felt the need for these “human problems” to be addressed. It is therefore potentially interesting to take note of POSITIVE PSYCHOLOGY’s current interest in investigating how religious and spiritual tradition can inform POSITIVE PSYCHOLOGY research and applications (Ivtzan et al, 2013; Joseph et al, 2006; Khashab et al, 2015). 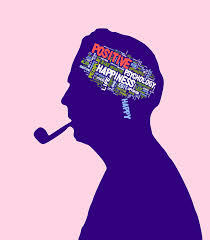 There is little doubt that POSITIVE PSYCHOLOGY has achieved many of Seligman’s original aims. There is a considerable increase in the level of understanding around identifying and exploring the predictors of “authentic happiness” (Seligman, 2004). Interventions have been developed and widely and comprehensively adopted, from the US Army (Reivich et al, 2011) to exclusive grammar schools in Australia (Seligman et al, 2009). However, it was in 2011 that Seligman himself first identified an error in POSITIVE PSYCHOLOGY’s original topic and aim (Seligman, 2011). He realised that rather than happiness, POSITIVE PSYCHOLOGY’s topic of study should be well-being, with the goal of increasing flourishing rather than life satisfaction, but he wasn’t the first to have found flaws. Held (2002) felt that the “tyranny of positive thinking” that Seligman had encouraged was potentially damaging to people who felt compelled to be happy at all costs, repressing and ignoring pain and suffering which were argued by Wong (2011) to be potential catalysts of positive development and change. This echoed Frankl’s belief that unbridled happiness was not the precursor to optimum mental health: what was a vital ingredient to well-being was a “…certain degree of tension…” (Frankl, 2004, p.110). It could be argued that these flaws in POSITIVE PSYCHOLOGY were found as understanding increased, potentially pointing to a continual evolution, which has now entered a new chapter with the identification of “Second Wave Positive Psychology” (Held, 2004; Lomas & Ivtzan, 2015), or “Positive Psychology 2.0” (Wong, 2011). With Lomas (2016) heralding it as the dawn of a “synthesis” between “psychology as usual” and POSITIVE PSYCHOLOGY, it takes Seligman’s 2011 reclassification of POSITIVE PSYCHOLOGY further, by distinguishing between positive experience and positive outcome. New wave POSITIVE PSYCHOLOGY argues that by aiming for positive experiences, one can also experience a negative outcome. An example of this could be found through experiencing joy. One could expect positive outcomes of happiness, well-being and increased energy. At the same time however, this joyful experience could also result in recklessness, addiction or denial. Second wave theorists further argued that negative experiences have been thus far neglected by POSITIVE PSYCHOLOGY, and are in fact potentially potent breeding grounds of meaningful positive outcome (Ivtzan et al, 2016). Wong (2010) has called this misunderstanding a search for an ‘…express highway to a Disney Land-type of happiness.’ (Wong, 2010), inferring that it could limit positive growth and cause more harm than good. In determining the impact of second wave POSITIVE PSYCHOLOGY upon POSITIVE PSYCHOLOGY research and applications, it can become problematic to define second wave POSITIVE PSYCHOLOGY and to determine when the movement first began. On the one hand, it could be viewed simply as the rise of recent self-proclaimed second wave POSITIVE PSYCHOLOGY scholars, whilst on the other it could also encompass the many theories and applications which these scholars have been heavily influenced by. What could be seen as a defining moment in the evolution of second wave POSITIVE PSYCHOLOGY following its original definition (Held, 2004; Wong, 2011) was the release of the first textbook focusing entirely on the ‘dark side’ (Ivtzan et al 2016) in November 2015. In ‘Second Wave Psychology: embracing the dark side of life’, scholars Ivtzan, Lomas, Hefferon and Worth explored themes from the established POSITIVE PSYCHOLOGY tradition, but focused on examining the way in which a positive outcome could be experienced through negative experiences which they term ‘The Dark Side’. In a call to embrace a more complex and intricate version of POSITIVE PSYCHOLOGY, they began the book by carefully introducing the second wave not as a new concept, but one which has been “ongoing for years through the combined efforts of scholars worldwide” (Ivtzan et al, 2016, p.3), even citing Seligman as recognising the need not to become a “slave to the tyrannies of optimism” (Seligman, 1990, p.292). Wong, (n.d.) states second wave POSITIVE PSYCHOLOGY “…is informed by Frankl’s logotherapy as well as existential psychology”. As such, rather than a radical ‘bolt out of the blue’, the major exponents of second wave POSITIVE PSYCHOLOGY agree that it is a summing up or gathering together of theory and research which helps demonstrate that to ignore the dark side of life is to potentially miss the point of POSITIVE PSYCHOLOGY entirely. If it is indeed the case that second wave POSITIVE PSYCHOLOGY has remained unannounced but in motion for many years, it becomes difficult to label research and applications as either ‘second wave POSITIVE PSYCHOLOGY’ or ‘POSITIVE PSYCHOLOGY’. Researchers have been focusing on the psychological merits of death (Kessler, 1987) and suffering (Frankl, 2004) before POSITIVE PSYCHOLOGY was even established. In fact as Lomas (2016) points out, in Buddhist scripture from over 2000 years ago, one can find lessons around the perils of chasing happiness and attempting to avoid suffering. If theory, research and applications based around the merits of embracing the ‘dark side’ have been around for so long, it logically leads to question whether the second wave movement has any purpose. It could be argued that its purpose is specifically in its identification: a ‘banner to rally towards’. Whereas theory, research and applications which could constitute second wave POSITIVE PSYCHOLOGY come from a variety of different sources, by grouping them together and giving them a name, it gives them increased purpose, meaning and power. The famous linguist Ferdinand Saussure is reported to have said in one of his lectures “without language thought is a vague uncharted nebula” (Saussure, 1983). Such could be the case here: through grouping the relatively “uncharted nebula” of different theorists and researchers together, second wave POSITIVE PSYCHOLOGY gives this cause renewed vigour and appeal. Through this identity, second wave POSITIVE PSYCHOLOGY theorists have begun to place emphasis on specific elements of positive psychological theory and research which they believe are particularly beneficial to well-being and flourishing. One of second wave POSITIVE PSYCHOLOGY’s key elements is the emphasis and importance that the movement place upon meaning and purpose in people’s lives. Once again, this is something which was originally expounded by Frankl (2004), but scholars including Wong (2009; 2011; 2015; 2010; n.d) and Steger (Littman-Ovadia & Steger, 2010; Steger & Frazier, 2005; Steger, 2009) have revitalised research in this area. Interventions have begun to spring up in order to help people to increase meaning and purpose in their lives, including mindfulness routines (Ivtzan, 2015), as well as models for use in a therapeutic or coaching setting (Wong, 2010) and meaning focussed conferences, including the International Meaning Conference. There is little doubt that this interest is well founded, with research showing that an increase of meaning in a person’s life is correlated with increased elements of well-being (Steger et all, 2009; Steger, 2012). In the introduction of ‘The Human Quest for Meaning’, Wong states that: “…meaning is the foundation of positive psychology because it is the key component of positive affect, well-being, physical health, resilience, relationship, achievement, spirituality, successful aging, and dying well.” (Wong, 2012, p. xliv). There is no doubt that meaning has always been high on POSITIVE PSYCHOLOGY’s agenda however, with Seligman originally splitting authentic happiness into three areas: positive emotion, engagement and meaning (Seligman, 2004), and later keeping meaning as one of 5 elements of his “PERMA” mnemonic (Seligman, 2011). The difference is that for Seligman, meaning was one of several important elements of well-being, whereas for second wave theorists, it is “the key component” (Wong, 2012, p. xliv) and even more importantly, meaning and purpose can quite often be found in suffering, pain and even in acknowledging our own mortality. The ‘dark side’ is not only identified as a source of meaning and purpose, but also a natural consequence of it. Ivtzan (2016) points out that meaning and purpose are closely allied with authenticity, which is another important term for second wave POSITIVE PSYCHOLOGY theorists. He argues that it is one thing to find meaning and purpose in one’s life, but quite another to put this into practice. One could see this as the transfer from Wilber’s (2005) subjective interior, or the realm of thoughts, feelings and emotions into the individual exterior, or realm of the individual’s words and deeds and beyond, into relationships, or the collective interior. It is in this area that difficulties can happen as Ivtzan (2016, p.58) states: “…you have to extract your own true beliefs from ‘false’ ones, namely ones that are not truly part of you. This process tends to be painful and challenging, and as such it is an aspect of the ‘dark side’ of meaning in life”. The importance of increasing self-concept clarity internally, and then bringing this increased level of authenticity out into the world externally is echoed by a wealth of theory and research. Feeding into this process, a range of measures have been established, including the Self-Concept Clarity Scale (Campbell et al., 1996), the Authenticity Scale (Wood et al., 2008) and the Meaning in Life Questionnaire (Steger et al, 2006). These and many others have helped researchers gradually turn theory into practice (Mengers, 2014; Sariçam, 2015; Schwartz et al., 2010) . By helping to validate the essential ‘dark side’ of this journey, second wave scholars have arguably shown that hardship, suffering and difficulty should not be shied away from, but embraced and welcomed as part of the positive transformational process. Another key area which second wave POSITIVE PSYCHOLOGY scholars have shown particular interest in is spirituality and self-transcendence. Once again this theme’s importance to well-being was recognised by POSITIVE PSYCHOLOGY from its origins. In ‘Flourish’, Seligman (2011) acknowledges that, “…spirituality goes hand in hand with greater well-being, less mental illness, less substance abuse, and more stable marriages, not to mention better military performance…” (Seligman, 2011). It was as a character strength that POSITIVE PSYCHOLOGY initially acknowledged transcendence as being a significant originator of well-being (Peterson & Seligman, 2004). Once again, the second wave takes this further, Ivtzan (2016, p.154) pointing to the negative experiences and feelings, yet “wonderful growth and positive change” that increased spirituality can bring to life. Research and applications in this area are again on the increase, with scholars revitalising self-transcendence theories that, arguably did not receive the attention they originally deserved: as an example, both Maslow (1969) and Frankl (2004) agreed on the importance of self-transcendence. Recent theorists like Koltko-Rivera (2006) and Wong (2009) have recently called for a re-evaluation of these theories. As a prominent second wave exponent, Dr Wong (2011) also developed a notion of ‘chaironic happiness’: the feeling of religious or spiritual rapture, which can be experienced through transcending the narrow confines of self and experiencing non-dual bliss. In a paper in which he announces that, “The future of a balanced POSITIVE PSYCHOLOGY is now” (Wong, 2011, p.73), he calls for POSITIVE PSYCHOLOGY to recognise the benefits of using negative as much as positive experience to inform research and practice. Although there are other areas of interest for second wave scholars, through exploring two key areas, it has been shown how POSITIVE PSYCHOLOGY has matured in terms of its understanding of well-being. Through this second wave of positive psychological theory, POSITIVE PSYCHOLOGY has started to become more balanced, complex and less idealistic. The word ‘impact’ in Collins Dictionary has three meanings: “the act of one body, object, etc, striking another; the force with which one thing hits another…; the impression made by an idea…” (Collins Dictionary, 2016). We are of course here discussing the third option, but even using this third definition, using the word ‘impact’ infers that second wave POSITIVE PSYCHOLOGY‘s ideas are making an impression on something other than itself (in this instance, POSITIVE PSYCHOLOGY). This then would contradict Lomas’ (2016) dialectic theory in which second wave POSITIVE PSYCHOLOGY is the synthesis between psychology as usual (focusing on the negative) and POSITIVE PSYCHOLOGY (focusing on the positive), or a sum of the two parts. This paper has demonstrated how perhaps a more useful definition of second wave POSITIVE PSYCHOLOGY would be as a “…more nuanced approach to the notions of positive and negative…” (Lomas, 2016, p.6). As such, second Wave POSITIVE PSYCHOLOGY represents an evolution of thought within POSITIVE PSYCHOLOGY, adding colours to the palate of research and applications, but can this evolution be measured? If one is to search online (“Google Scholar,” n.d.) for certain words which are starting to become more intimately associated with second wave theory: ‘meaning’, ‘purpose’, ‘mortality’ and ‘suffering’ for example, and to search for each of these words in tandem with “psychology”, it becomes arguably possible to gain an indication of whether these words are being used with increased frequency over the years 2009 to 2015 as an example (see appendix A). In 2009, 18% of items containing the word ‘psychology’ also contained the word ‘meaning’. By 2015, this had increased significantly to around 40%. A similar increase can be seen with the word ‘purpose’, which increased from 28% to 47%. Similarly, ‘mortality’ rose from around 4% in 2009 to 15% in 2015 and ‘suffering’ rose from around 4% to 14%. Although there are a myriad number of potential confounding factors to this simple illustration, it is an indication that terms which are closely associated with second wave theory and research could have increased quite substantially. Finally, one of the hallmarks of POSITIVE PSYCHOLOGY theory and research is how quickly it has caught on in popular culture and with the public at large. It has even been argued that the movement has its roots as firmly embedded in popular culture as in academic theory (Hart & Sasso, 2011). It can be observed that the influence of the ‘dark side’ is beginning to reflect in the popular cultural side of this movement. In the recent feature length cartoon ‘Inside Out’ (Docter & Carmen, 2015), one of the main morals of the story is the importance of sadness as an emotion, and how it should be embraced along with joy in order to live a balanced and meaningful life. In another recent animation, ‘The Lego Movie’ (Lord et al 2014), one of the key characters is ‘Unikitty’, a multi-coloured cross between a cat and a unicorn and a persistent optimist who refuses to acknowledge negative emotions (arguably a caricature based on the original POSITIVE PSYCHOLOGY movement). However, it is only at the end of the film when Unikitty finally loses her temper, embraces anger and by doing so helps win the battle. It is also interesting to notice that this film calls into question the labelling of ‘good’ and ‘bad’ characters, and promotes the importance of authenticity and finding unique purpose and calling. These recent films both received multiple awards as well as international public acclaim, and potentially demonstrate a change in the public perception of the role and importance of the ‘dark side’ in well-being and flourishing. Docter, P., & Carmen, R. del. (2015). Inside Out. United States of America: Walt Disney Studios Motion Pictures. Frankl, V. E. (2004). Man’s search for meaning. London: Rider Books. Held, B. S. (2002). The tyranny of the positive attitude in America: Observation and speculation. Journal of Clinical Psychology, 58(9), 965–991. Ivtzan, I., Lomas, T., Hefferon, K., & Worth, P. (2016). Second wave positive psychology: Embracing the dark side of life. Oxford: Routledge. Ivtzan, I. (2015). The Dark Side of Meaning in Life. In P. Ivtzan, I., Lomas, T., Hefferon, K., & Worth (Ed. ), Second wave positive psychology: Embracing the dark side of life (pp. 66–68). Oxford: Routledge. Kessler, B. G. (1987). Bereavement and personal growth. Journal of Humanistic Psychology, 27(2), 228–247. Khashab, A. S., Khashab, A. M., Mohammadi, M. R., Zarabipour, H., & Malekpour, V. (2015). Predicting dimensions of psychological well being based on religious orientations and spirituality: An investigation into a causal model. Iranian Journal of Psychiatry, 10(1), 50–55. Lord, P., Miller, C., Lord, P., & Miller, C. (2014). The Lego Movie. United States of America: Warner Bros. Pictures. Maslow, A. H. (1969). Various meanings of transcendence. Journal of Transpersonal Psychology, 1(1), 56–66. Saussure, F. D. (1983). Course in general linguistics, trans. R. Harris. London: Duckworth. Seligman, M. E. P. (2004). Authentic happiness: Using the new positive psychology to realize your potential for lasting fulfillment. Simon and Schuster. Seligman, M. E. P. (2011). Flourish: A visionary new understanding of happiness and well-being. London: Nicholas Brealey Publishing. Steger, M. F. L. (2009). Meaning in life. In C. R. (Ed) Shane J. (Ed); Snyder (Ed. ), Oxford handbook of positive psychology (2nd ed.). Oxford library of psychology. New York, NY: Oxford University Press. Steger, M. F., Oishi, S., & Kashdan, T. B. (2009). Meaning in life across the life span: Levels and correlates of meaning in life from emerging adulthood to older adulthood. The Journal of Positive Psychology, 4(1), 43–52. Wong, P. T. P. (2009). Viktor Frankl: Prophet of hope for the 21st century. In A. Batthyany & J. Levinson (Eds. ), Existential psychotherapy of meaning: Handbook of logotherapy and existential analysis. Phoenix AZ: Zeig, Tucker & Theisen. Wong, P. T. P. (2010). Meaning Therapy: An Integrative and Positive Existential Psychology. Journal of Contemporary Psychotherapy., 40(2), 85–99. Wong, P. T. P. (2012). The Human Search for Meaning. (P. T. P. Wong, Ed.) (2nd ed.). New York, NY: Routledge. Wong, T. P. (2010). What is existential positive psychology? International Journal of Existential Psychology and Psychotherapy, 3(1), 1–10. Hiya, I am really glad I’ve found this info. Today bloggers publish just about gossips and net and this is really annoying. A good site with exciting content, that is what I need. Thank you for keeping this site, I will be visiting it. Do you do newsletters? Cant find it. Many thanks for your message. I have added you to the mailing list, and will stay in touch. "Fantastic life changing experience! Matthew is a talented and professional coach. A great thinking partner who helped me realise my full potential. As a result of my coaching experience I am now looking forward to starting a degree as a mature student something I would never have thought possible. I highly recommend Grow if you want to change your life and follow your dreams!!" "My coaching sessions with Matthew have enabled me to progress with my business endeavours. The sessions helped to overcome mind level barriers I was experiencing and overcoming thought patterns which did not serve me well, nor my business! My business is growing as am I and am thankful for this opportunity. Matthew is an excellent coach, he has a sincere desire to help people grow and develop positive mind sets…. I thoroughly recommend him!" The words "spectacular, incredibly professional and astoundingly supportive"
...I can vouch for Matthew and his aid in what can be one of the most stressful phases in anyone's life. Don't hesitate to contact him and put your trust in Matthew like I have!!" "Matthew is a dedicated professional, he is intuitive and his sessions are structured. His calm demeanor creates an open, thinking and welcoming space. Thank you Matthew!" "Couldn't recommend anyone more than Matthew." Are you interested in increasing your personal well-being? We will send you updates to help you on your journey!